The body of what appears to be a heavily tattooed caucasian foreign man was found floating in Pattaya Bay by a fisherman early this morning. Rescue workers were called and brought the body to shore where a closer examination took place. The body appeared to have been deceased and in the water for over a week. The majority of the limbs and head had appeared to be eaten by fish to the bone. The man had been wearing black shorts and a black shirt. There was no initial sign of bone trauma indicating severe trauma or blunt damage according to officials. Local embassies have been contacted and police will be reviewing missing person reports today while medical staff continue to try to get a more precise cause of death. The following video contains content that may offend sensitive viewers. 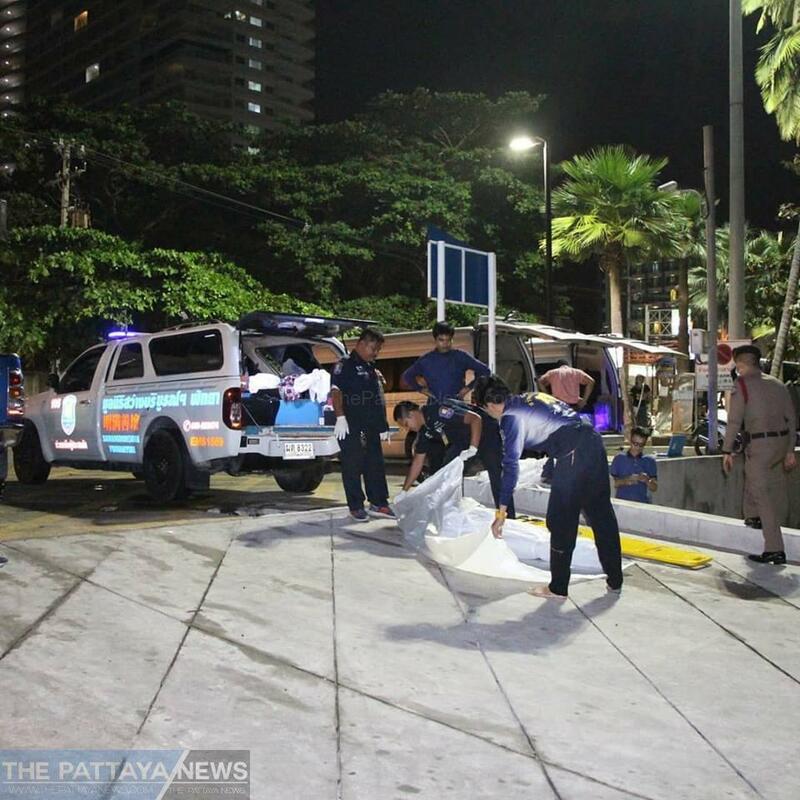 The body of what appears to be a heavily tattooed caucasian foreign man was found floating in Pattaya Bay by a fisherman early this morning.Rescue workers were called and brought the body to shore where a closer examination took place.The body appeared to have been deceased and in the water for over a week. The majority of the limbs and head had appeared to be eaten by fish to the bone. The man had been wearing black shorts and a black shirt.There was no initial sign of bone trauma indicating severe trauma or blunt damage according to officials.Local embassies have been contacted and police will be reviewing missing person reports today while medical staff continue to try to get a more precise cause of death.The following video may contain footage that may offend some sensitive viewers.